It is generally believed that wisdom comes with age. Wisdom teeth are known as wisdom teeth because they appear at a more mature age. Your mouth undergoes several changes during your lifetime. 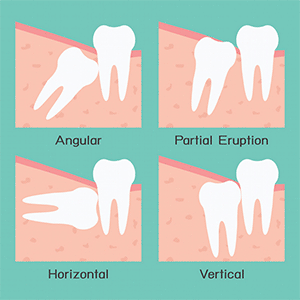 There is one main dental milestone that normally occurs between 17 and 21 years: the eruption of your third molars. Adults usually have up to 32 teeth. 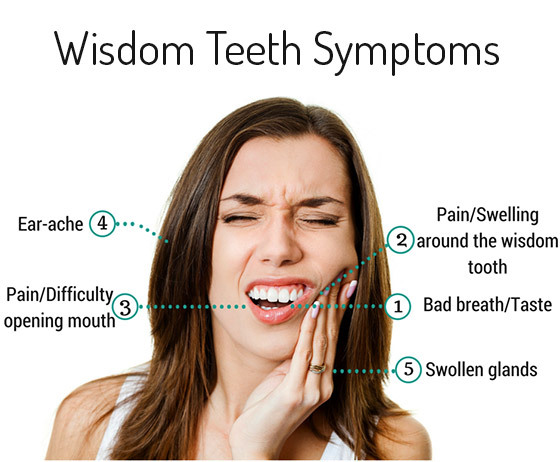 Wisdom teeth are the last set of molars to cut through the gums at the back of the mouth usually at the age of between 17 and 25. There are instances where they even appear several years later. 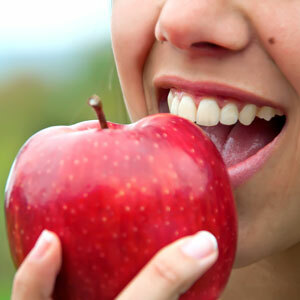 People often have small jaws that are not capable of accommodating all 32 teeth. The most they have room for are 28 teeth. In case wisdom teeth erupt, they can become stuck below the gums’ surface often owing to lack of enough room to grow normally. The third molars (normally four) often overcrowd the mouth and grow in the wrong angle. But even if they don’t, they cause pain while erupting – just like any tooth, as they push through the skin. “Extra molars” that emerge at an extreme angle (sideways) normally get stuck, thereby pushing on neighbouring teeth and probably causing an infection or a cyst to develop. When wisdom teeth erupt properly, they can be helpful in chewing. It is normal to feel some slight pain when they cut through the gums. While these teeth might be an important asset to the mouth when they are healthy and correctly aligned, in most cases they are improperly aligned and need removal. They can cause acute facial pain, infection, as well as damage to nearby teeth. In case you experience discomfort, red or inflamed gums, soreness around the jaw, bleeding gums, bad taste in your mouth, as well as headache, you need to consult your dentist. Wisdom teeth that come through partially or in the wrong position can result in painful crowding and disease. It is recommended that people aged 16 to 19 years should have their wisdom teeth examined to determine whether or not they need to be extracted. This is because the roots of wisdom teeth extracted before age 20 are less developed, hence have fewer complications. Those wisdom teeth which have not erupted properly that can make flossing between them and the neighbouring molars difficult. Wisdom teeth that have partly erupted can provide bacteria with a place to get into the gums, hence creating room for infection to occur. Also, this can result in pain, inflammation and rigidity in your jaw. The removal of wisdom teeth may also be recommended as part of either treatment for braces or dental care. It will cost you $350 to have one wisdom tooth removed. At Comfort Dental Care, wisdom teeth removal procedure is performed to world-class standards by a highly skilled dentist. You can get it done while under sedation (note: additional costs apply for sedation). You won’t experience pain or even remember a thing when you are sedated. We also do post op follow-up and provide after care. Weekend and after hours appointments are available. For more information, feel free to contact us today.